Freight management software helps companies choose the best transportation options for their needs. This type of software is particularly beneficial for companies who do not have their own fleet and need to work with freight services providers. Freight management is used by companies to gather information on carriers and the services they provide, as well as to evaluate carriers and choose the best option for their transportation requirements. This system is used by logistics and supply chain professionals who are responsible for delivering goods to customers. Freight management software is delivered as a standalone solution or as a part of a supply chain suite or transportation management software. This type of software may require integration with other logistics solutions such as shipping software, yard management software, and supply chain planning software. Freight Management reviews by real, verified users. Find unbiased ratings on user satisfaction, features, and price based on the most reviews available anywhere. Aljex is cloud-based broker & logistics software; ready to use anywhere, any time. Our freight software can adapt to fit your needs, helping individual brokers to enterprise level organizations. The Magaya Cargo System is designed for freight forwarders, NVOCCs, forwarding agents, couriers and warehouse providers who require a complete and accurate warehouse management system combined with a fully-integrated accounting system. The user-friendly interface reduces the amount of work for the user by eliminating duplicate-data-entry. Shipments details are managed with simple workflows. Send important information to customs authorities and generate required documents like the bill of lading. 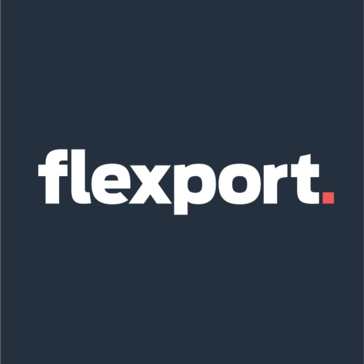 Integrate your international freight forwarding with eCommerce shopping carts. Freightview is a standalone transportation management system designed for small to medium-sized businesses that ship less-than-truckload (LTL) freight and work with multiple carriers or brokers. AFS is a freight audit and shipping software that provides the comprehensive logistics strategy services to help companies manage shipping costs. Air Freight Bazaar is an online freight marketplace, which serves air cargo rates, air freight rates, air waybill tracking, air cargo news, flight schedules etc. Ally TMS is smart freight management and collaboration platform, enabling brokers, shippers, carriers, agents and other stakeholders collaborate on a freight. ARL e-Yield is a yield solution provider that helps businesses with scheduling, quoting, booking, e-Settle, and dynamic pricing online. Auto Broker Dispach is a comprehensive trucking software for auto transport brokers. Azyra is designed to be versatile while providing the efficiency for each type of freight. Banyan Technology's live API connections facilitate instant exchange of vital freight-shipping information between shippers, brokers, forwarders, or 3PLs and carriers. Freight Brokers needs are very specific. For example, our software places special emphasis on monitoring carrier cargo and liability insurance as well as a carrier rating system and carefully designed carrier confirmations. Brokerware, is the only less-than-truckload transportation management system (LTL TMS) you will ever need. By increasing visibility and simplifying typical freight broker duties, our software will create a positive experience for your customers. BTU Software is freight rate management, benchmarking, forecast and quote software. Digitalize your container shipping operations with this elegant, digital solution that you and your partners will love. Our users voluntarily tell us Cargo3000 is the most user friendly and productive freight forwarding system available. It allows users to process international and domestic shipments in seconds, includes over 80 documents, invoicing and accounts payable processing plus numerous additional features and interfaces. Courier Freight provides logistics solutions to help manage inventory control, supply-chain management, third party logistics, order management and more to help you manage your business. eCargo.Cloud is a multi-lingual, multi-currency system for Freight Forwarders, IATA-compliant for Air/Sea and Land, with CRM and MIS. e-Cargoware is a cargo logistics applications on cloud for cargo airlines, ground handlers, cargo GSAs and freight forwarders. Freight is the only solution that can address all your requirements and much more with the highest level of flexibility. e-Freight is a web centric software catering to Freight Forwarding industry developed using J2EE technology. eFreight Suite is a freight forwarding software service from initial analysis, design, development, testing, distribution and support. E-Freight offers a variety of fully integrated Products servicing the Freight Forwarding and International Shipping business. Eirta is a "FREE" Logistics System offers to Global Freight Forwarders. eTrucks a easy and compliance-driven fuel tax reporting software. EzeeShipping is a cloud ERP designed to help automate freight forwarding, customs clearence and transportation facilities. EZ-Freight Air is a freight forwarding software. FM3 is a freight management system. Fraight AI is transportations's first artificial intelligence enabled freight broker. Fraight AI delivers a familar brokerage service, but with superhuman speed and accuracy. Fraight learns your supply chain needs and brings tech benefits with no adoption necessary. Free Freight Software is a free ERP software for freight forwarding business. Freightalia is an online quoting and rate management system for freight forwarders, engage exporters, importers and agents. FreightBro is a digital platform for logistics services. FreightDesk is a shipping cost management tool for importers and exporters. FreightDragon mission was launched to help companies in the moving logistic industry to better manage their highly valuable data by building technologies from the ground up using the most current and most tested security protocols used by world leading governments and corporations. Integer Micro Systems are a specialised Freight Forwarding and Fuel Distribution Software company with over 30 years of Software development experience and hundreds of clients in the UK and Worldwide. Freightfax 4 has been designed to help you manage global freight for sea, air and land movements. the JTS FreightOptixx cloud-based TMS is your one-stop solution for managing your Full Truckload, LTL, Intermodal and International freight communications all in one easy to use, cloud-based web interface. Integrating your logistics communications with a single source provider like JTS offers you greater visibility, increases service levels and saves time on logistics tasks. Hi there! Can I help you find the best Freight Management solutions?